of the Holy Sepulchre in Jerusalem with the double red cross. 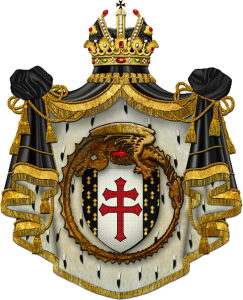 et Socijs de Draconis (Ordo Draconis). The memberships is free for the first 3 months after it cost 5.- Euro per month.